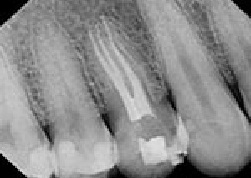 Endodontists are dentists who specialize in root canals. All dentists are trained in diagnosis and endodontic therapy, however, some teeth can be especially difficult to diagnose and treat. In addition to dental school, endodontists receive two or more years of advanced education in this kind of treatment. 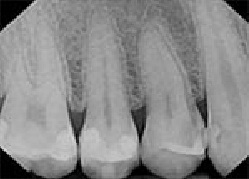 They study root canal techniques and procedures in greater depth, for diagnosis and treatment of more difficult cases. For this reason, many dentists choose to refer their patients to endodontists. A root canal is a common dental procedure used to save a tooth that would otherwise need to be extracted. Inside the tooth is a collection of tissue (dental pulp) that developed the surrounding tooth. Infection or inflammation caused by impact (trauma), decay, cracks, or gum disease can damage the dental pulp. Symptoms of inflammation or infection may be noticed as pain with chewing, pain in the ear or face, sensitivity to hot or cold food or drink, swelling of the gums or face, a feeling that a tooth is "higher", "looseness" of the tooth, discoloration, and/or fracture or crumbling of the tooth. These symptoms may "come and go" over a period of months or even years. For some people however, the infection or inflammation may cause little or no discomfort but results of the inflammation or infection may appear as changes on a dental x-ray. after the root canal was completed. These problems can occur on any tooth, but are most common on upper and lower molar teeth. As a specialist with advanced training and equipment (such as a dental microscope, sonic and ultrasonic instrumentation, and in depth knowledge of root canal anatomy), Dr. Grosko is equipped to deal with missed canals and bacterial contamination of the root canal. Sometimes, complicated anatomy of the tooth prevents all of the bacterial contamination from being removed during a retreatment. In these cases, an apicoectomy may be necessary to address these issues and retain the tooth.